Kathleen Wright is the founder and director of the Garden of Yoga, and cofounder of Yoga Circle and Wild Onion Yoga in Chicago, IL. She began her study of Yoga in 1974, and has taught since 1976. Kathleen commenced her studies under the direct guidance of Swami Veda Bharati of the Himalyan Tradition. She holds a bachelor’s degree in Movement Education from the University of Minnesota, and is a 1983 graduate of the Iyengar Yoga Institute of San Francisco’s two-year state yoga teacher certification program. Kathleen has studied in India with the Iyengar family, including B.K.S. Iyengar and Geeta Iyengar on five different occasions. She also helped host the Iyengars on visits to the U.S., and participated in many Iyengar Yoga national conventions. Kathleen is a nationally certified Iyengar Yoga instructor at the Junior Intermediate level, and an experienced, registered yoga teacher (E-RYT) with the Yoga Alliance. She is also a Certified Ayurvedic Educator. Her Yoga teachers in the U.S.are Ramanand Patel, Janet MacLeod, and Lois Steinberg. 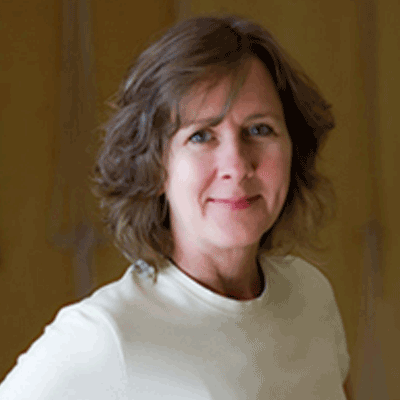 Kathleen serves as a mentor and teacher to many of the Chicago area’s top yoga teachers. Meg has been studying yoga for over fifteen years. 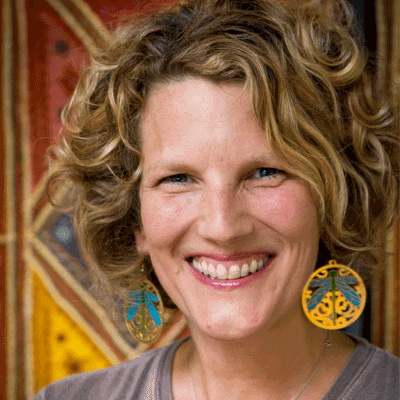 Her yoga teaching experiences include basic, beginning, continuing, partner, chair and restorative yoga. She has created and hosted a number of workshops including yoga for the lower back, practice at home and the application of yogic philosophy in the workplace. She completed her 200 hour studies with the Temple of Kriya Yoga in June, 2004 and her 300 hour studies with the Bhavana Institute in June of 2012. She is a registered teacher with the Yoga Alliance at the e-RYT 200 and 500 hour levels. In addition to yoga, Meg has trained in Meditation, Usui Reiki, Dowsing, Astrology, Aroma Therapy, Universal Laws, Dream Analysis, and Nomena healing modalities. Meg is also a Reiki Master Teacher Fourth Degree. With her roots in corporate America and her training in energetic healing, Meg has experienced yoga as a valuable tool for centering, stress reduction, inspiration and relaxation. She also believes that yoga increases wellness while improving the quality of life. With this in mind, she believes that yoga should be made available to people of all abilities. 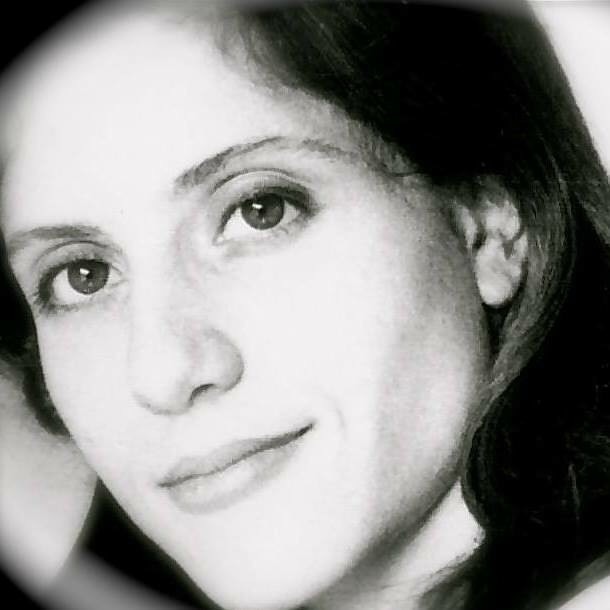 Maria started learning yoga as a teenager and comes from a family of Iyengar yoga teachers. A certified Iyengar teacher since the year 2000, she has over two decades of teaching experience. Her classes range from vigorous to restorative, and she enjoys working with all levels. She has studied with senior Iyengar teachers in the US and Argentina and has traveled several times to Pune, India, to study directly from the Iyengar family. Her primary teacher is Senior I.C.Y.T Lois Steinberg with whom she continues to grow as a practitioner and a teacher. nancy DL heraty is a generalist as she teaches classic Hatha Yoga with emphasis on alignment, and a specialist as she teaches therapeutically for those with issues of the spine, and Yoga for Scoliosis. Desert Lizard trained with Iyengar Teacher Elise Miller to become a Yoga for Scoliosis Trainer. Desert Lizard continues to study and assist with renowned teacher Gabriel Halpern at Yoga Circle in Chicago where she has trained in therapeutic and restorative yoga. She has completed more study at Yoga Union and Back Care in New York City with Deborah Wolk and Alison West, Yoga for Scoliosis and Back Care specialists, and study in Yoga for the Pelvic Floor with Leslie Howard. 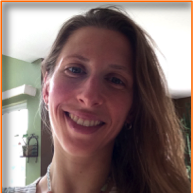 Kristen has studied Iyengar yoga for over a decade and recently became certified at the Introductory Level. She is an avid traveler, and being far from home made her realize how fortunate she was to have access to many qualified Iyengar yoga teachers in the Chicago area. Ultimately, this is what led her to consider becoming a teacher herself. She hopes to share her love and enthusiasm for yoga with beginning students, as well as encourage continuing students to dig deeper into their practice. Kristen feels everyone can benefit from a yoga practice and in the classroom, she aims to provide careful instruction in a fun and lighthearted atmosphere. Chad White Wolf Koch has been teaching martial arts, yoga and tai chi for over 20 years. He loves sharing his knowledge and the healing that yoga and tai chi provide. He continues to pursue avenues of healing as he gained his Muscle Activation Techniques® Specialist certification in 2018. He is now working towards his MAT® Master Specialist certification. 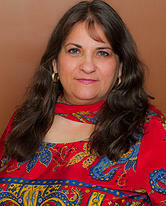 Patricia ‘Pat’ Layton is a graduate of the California College of Ayurveda, and has a Master’s Degree in Integral Health Studies from the California Institute of Integral Studies. While living in California she owned and operated the Yerba Buena Ayurveda and Pancha Karma Center in San Francisco. She has taught Ayurveda and Yoga-related subjects at several schools and colleges including San Francisco State University (Adjunct faculty), California College of Ayurveda (Core faculty), Kanyakumari Ayurveda (core faculty), and the Iyengar Yoga Institute’s Teaching Training Program (Physiology for Yoga Teachers). 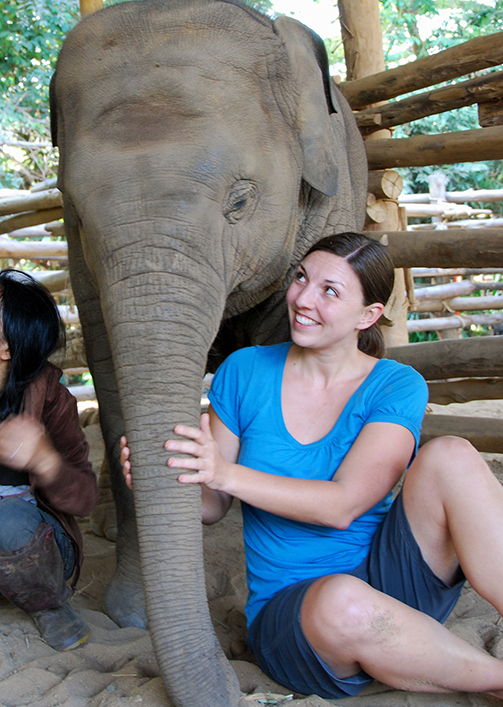 She frequently travels to India to continue her studies in both Ayurveda and Yoga. She has been an initiate of the Himalayan Yoga Tradition since 1974 and continues her meditation and philosophy studies with Swami Veda Bharati at his ashram in Rishikesh. Pat is recognized as an Experienced Registered Yoga Teacher (E-RYT) by the Yoga Alliance. Laura Lundy started taking yoga classes years ago as an antidote to a high-stress job working with emotionally disturbed inner-city kids. Yoga has helped her maintain her equilibrium in a high pressure situation. She apprenticed at Yoga Circle in Chicago and has attended many workshops and teacher trainings and is a nationally certified Iyengar Yoga instructor a the Introductory II level. Although Yoga can be hard work, the joy of practice keeps her at it year after year. Laura thinks Yoga can be fun and tries to pass that on to her students. 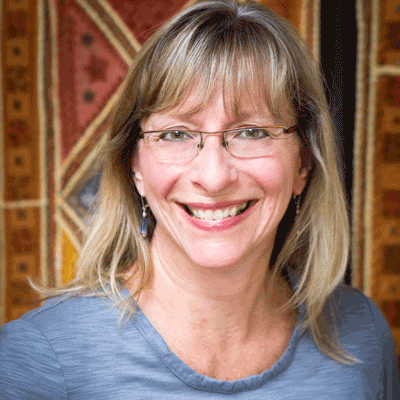 Amy Massat is a Certified Iyengar Yoga Teacher (CIYT) and studies regularly with Senior teachers Kathleen Wright, Lois Steinberg, Chris Saudek, and Patrina Dobish. Amy has learned many surprisingly helpful skills in communication, interpersonal relations, teaming, and relationship building from Yoga that are transferable to her human resources career and personal life. Who would have guessed?!? That is why Amy loves sharing this amazing practice of Yoga with others. She also loves the outdoors, hiking, horse back riding, canoeing and dancing. Through the practice of Yoga profound healing occurs. A commitment to class offers physical, emotional & intelligent health. Donna’s classes inspire connection & independence. This connection unfolds the ability to trust and believe in your self. The student will learn breathe awareness and alignment, which strengthens the spine and soothes the nervous system. 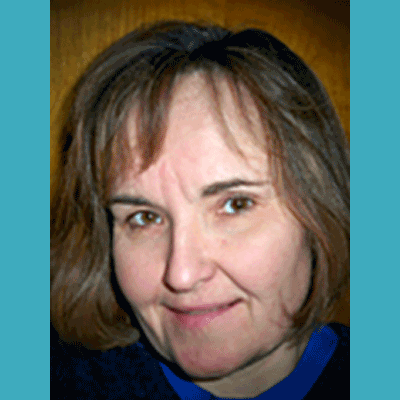 Donna began teaching classes in 2005 and blends the modalities of trainings. Jim Shaw has studied and practiced Yoga asana and pranayama for four decades. 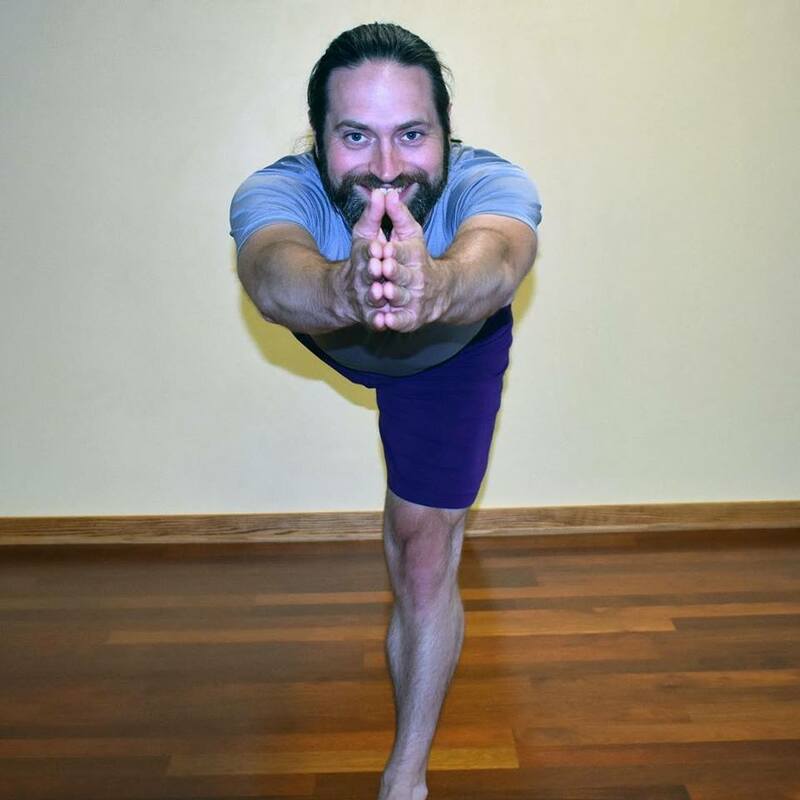 He has taught for nearly twenty years at Garden of Yoga and other locations. Jim’s practice centers on Yoga as taught by B.K.S. Iyengar, with whom he was privileged to study in 2005. Jim teaches children as well as adults at all levels of ability, including a decade-long practice of Yoga for kids with special needs. Jim is registered with Yoga Alliance as E-RYT500. 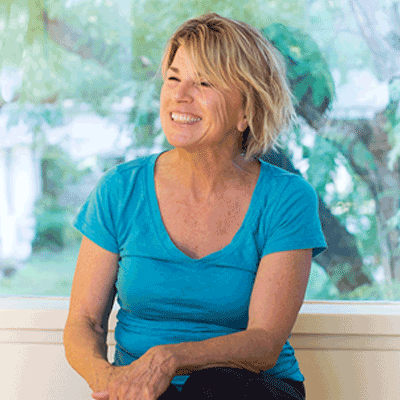 Laughter and work are what Connie Zdenek likes to bring to her traditional Hatha Yoga classes. Her introduction to yoga came in 1991 in Tucson, Arizona, at the local park district. Though she was enthusiastic immediately, it was years before Yoga assumed a prominent place in her life. Her classes include a variety of asana, with the hope that students will experience that which goes beyond muscular exercise of the asana practice. Connie completed her 200-hour Yoga Teacher Training and a Meditation Teacher Training at the Temple of Kriya Yoga. She completed her 500-hour teacher certification at the Bhavana Institute and, with over 1000 teaching hours, is an Experienced Registered Yoga Teacher at the 200-hour level with Yoga Alliance. She continues to study with her beloved teachers: Kathleen Wright, William Hunt, Janet MacLeod and Kim Schwartz.